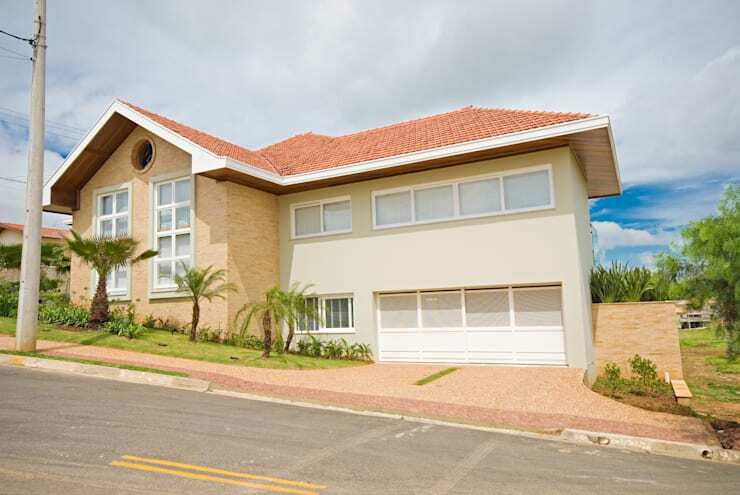 When it comes to building a new home, awkward plots of land are no longer an issue, as there are a slew of amazing architects out there that can build palaces on even the most uneven of surfaces! Today's family home is a perfect example of that, as you will soon see! Every angle of this house makes it look incredible, but vastly different and the interior? Well that's a whole other story! Filled with gorgeous finishes and luxury styling, it certainly lives up to the façade, so let's get in there and take a closer look! You certainly can't say that this fantastic family home isn't impressive, can you? 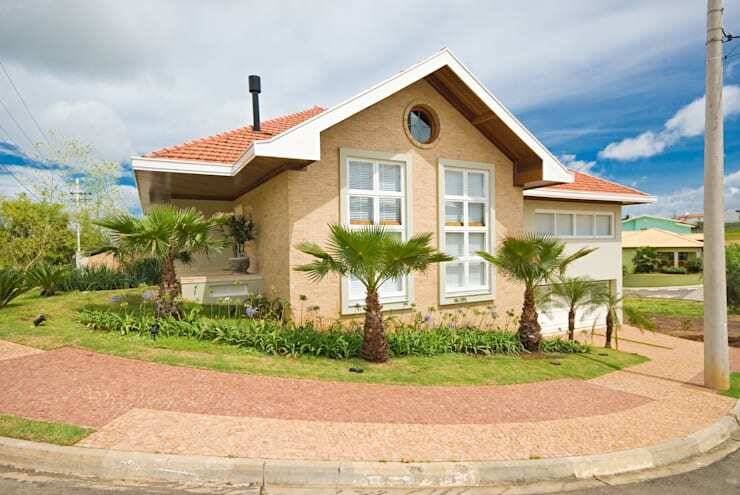 Large windows, a double garage and gorgeous landscaping have all made this something to really admire and covet! It's the little touches that make it stand out though, such as a round window. What a looker! From this angle, you can see what a dramatic slope the house is built on and it can't have been easy to account for, but there is no sign of trouble in terms of how great the house looks. 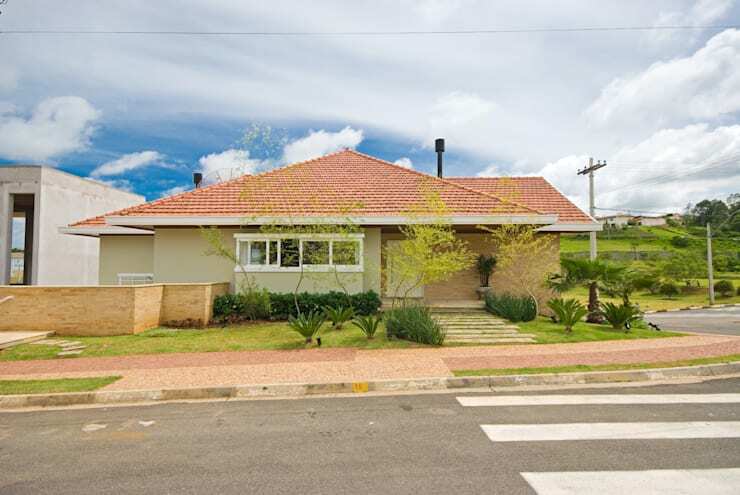 Large, welcoming and built to accommodate the needs of a large family, this house really takes it all in its stride! From this side, the house looks tiny! And as though it is a one-storey build, but that's due to this being the high point! The perfect place for the entrance, if you only saw this part of the house when you arrived, imagine what a shock you'd get when you walk in! Amazing! We openly admit that we were expecting a far more modern kitchen in this home, but the quiet rustic feel here is gorgeous! 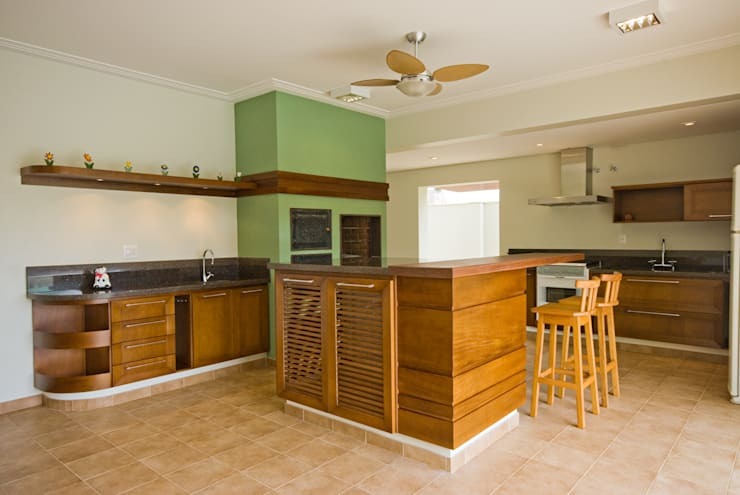 Natural wood and granite make for a timeless installation, while integrated appliances and a funky accent wall add in just enough contemporary cool to keep this design on track. Just lovely! Here is a more modern addition to the house and we have to say that we love it! 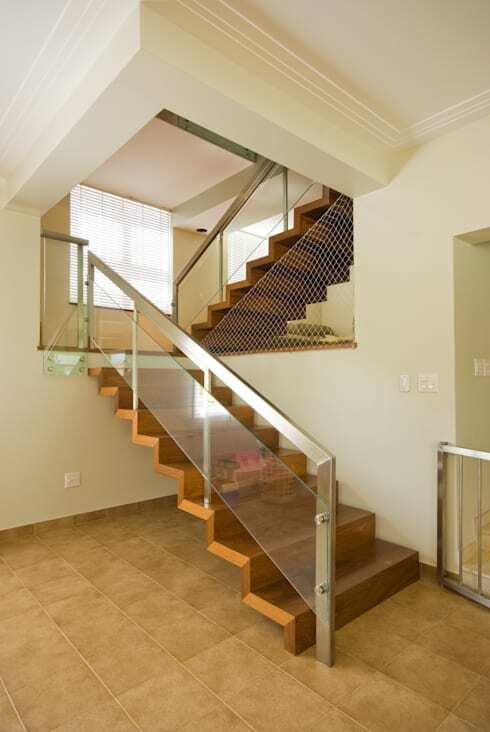 A perfectly cantilevered staircase, with sleek metal safety rails and glass panels, keeps the house filled with light and draws from the kitchen too, to make for a really cohesive interior scheme. The simple elegance of such a necessary item is astonishing! This wood flooring is amazing, but we feel sure the occupant of the room doesn't really care about that, as it's all about the details! The fairy decal on the wall and built-in desk means that this room can evolve as the youngster ages and they'll never get bored of how the space looks. What a generous room for a kid too! Any home needs a lot of storage but that goes double for a family property! 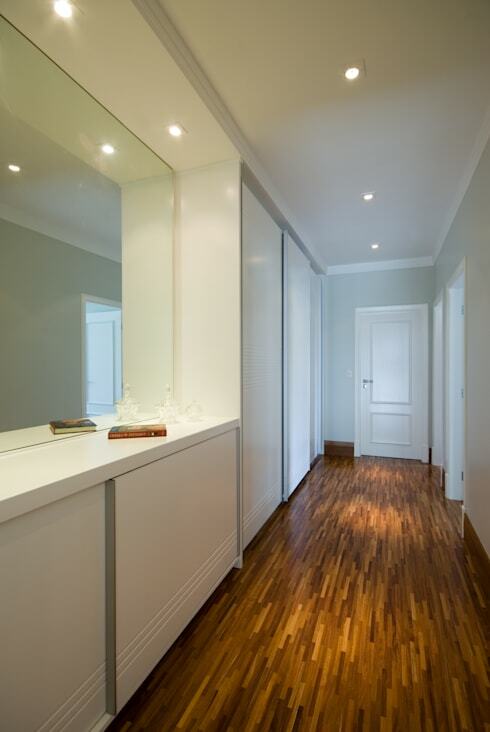 This hallway is chock full of it, all discreetly disguised behind sliding doors and with a large mirror in place too, the whole area feels large and airy. That's quite a feat, given how dark and impactful the floor is! This must be a fun family! 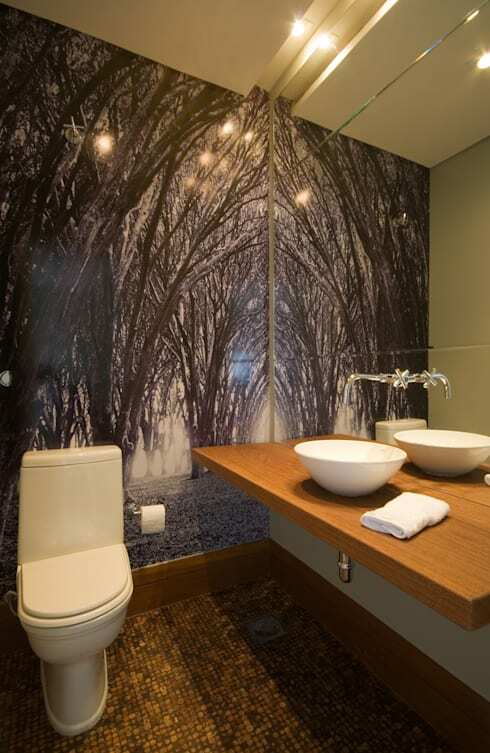 Not only does the kid's room have a fun wall, but so too does this bathroom! The addition of a cool feature wall shows that design, function and enjoyment all go hand-in-hand in every room of this house and we really are enjoying the natural wood in every area. What a surprising and constantly evolving home! If you enjoy family home inspiration, take a look at this Ideabook: homify 360°: 3 family homes, Göttingen. Which was your favourite element of this amazing home?